It's that time of year again. Trees and lights go up, smells of spices fill shopping mall air and the hunt for perfect gifts begin. Bye Thanksgiving, It's Christmas time! Inevitably, my inbox fills up with people asking me basically the same question: "What kind of [Insert coffee related product here] should I get for [insert loved coffee enthusiast here]?" So if you're looking for that perfect coffee gift, don't worry, I've got your back. 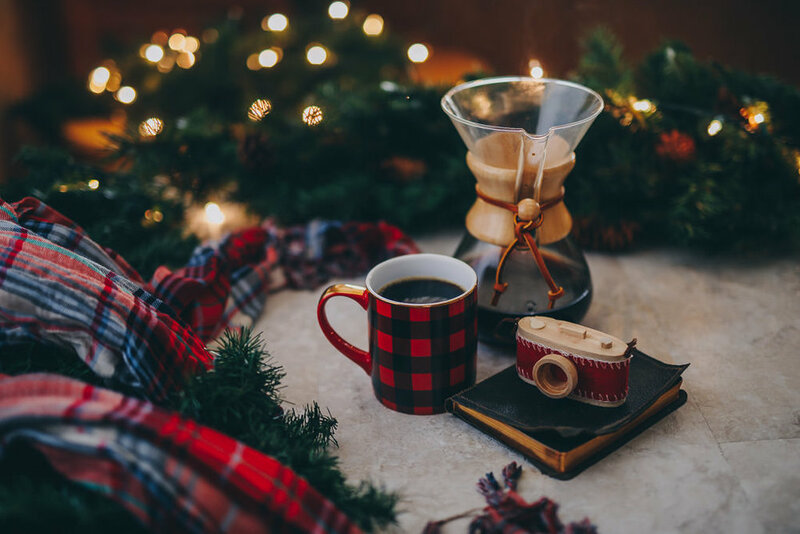 Have yourself a look at my list of the best coffee Christmas gifts this year! What better place to start than snagging your favorite coffee lover a new brewing experience? If your loved one doesn't have an Aeropress, feel free to just stop here. This small, fairly simple device easily takes my pick for favorite brew method. Compact, versatile, and approachable, the Aeropress makes making good coffee a walk in the park. Check out my standard brew method here. No Scale? No Problem, try this one instead. This gorgeous coffee maker looks great on any kitchen countertop. I pull out the Chemex anytime I need to make coffee for more than just myself, or when I just feel like showing off a little bit. If you decide to go this route, make sure you don't forget to include some filters to go with it! I own the 6-Cup model and I like it for the visual symmetry between the top and bottom. Personally, I wouldn't go any smaller. Need to brew more than 6-Cups? Go for the 8 or 10-cup models! Ready to brew? Check out the brew method post here to get started! [plain] I discovered this brew method this year thanks to my brother-in-law. Does your coffee lover enjoy the taste of French Press coffee but hate the grit or the clean up? If you answered yes, you should give them an American Press. The self-contained ground basket makes cleanup significantly easier. Not to mention you get all the full-bodied flavor of the full immersion French Press without all the sediment at the bottom of the cup! Win-Win. Did your lovable coffee snob just rip into this gift? Send them over here to get them started! Has your coffee lover lamented the lack of consistent grinds from their pedestrian blade grinder? Sounds like it's time to help them step up their game and bring a burr grinder into their life. This Christmas, you can give the gift of the perfect grind with one of these grinders. Does your coffee connoisseur find joy in a slow morning? Compliment their meticulous ritual with the tactile experience of one of these hand grinders. Ease your way into the burr grinder scene with this classic. I used this grinder exclusively for almost two whole years before upgrading. It takes some practice and a little work to dial in the grind size, but the low cost more than makes up for the inconvenience. Where the original Skerton struggles in stability and grind adjustment, the upgraded Skerton Pro gives an answer. Equipped with a sturdy handle, a stabilizing ring for more consistent coarse grinding, and a more intuitive adjustment system, this grinder makes a perfect compromise of price and features. I don't actually own one of these, so this recommendation is based on my research alone. I had my eye on this grinder for quite a while before I finally managed to get my hands on one. This beautifully designed grinder has an easily adjusted ring for grind size. If your coffee aficionado tends to drop things in the excitement of the brewing process (like I do...), I can't recommend this grinder enough. Each of the individual pieces of the grinder can be purchased separately from Handground's website for quick and easy repair. For those mornings when taking 15 minutes out to brew by hand just isn't going to cut it or when you need way more coffee than you want to grind by hand, electric is the way to go. Good electric grinders definitely run at a higher price point than hand grinders. I'm not made of money unfortunately, so I only have one electric grinder. The rest of the recommendations here come from my extensive research on the best home grinders. I own this one. Speaking honestly, I wouldn't spend anything less on an electric grinder. This is the cheapest grinder that still uses real stainless steel burrs and uses a decent motor to manage heat build up. Easy adjustment, minimal static build-up, and an included volumetric cheat sheet make it a great entry level grinder. This grinder holds the mantle for the industry standard recommendation for entry level grinders. The Encore handles everything from coarse to fine like a champ thanks to it's 40 individual grind settings. The motor grinds well while still keeping the beans cool all while reducing noise and static build up. If your coffee geek wants to dive into the world of home espresso, they're going to need some finer adjustment options. You ought to introduce them to the Virtuoso from Baratza. This grinder handles both the large macro-adjustments between French Press and Espresso while still providing micro-adjustments necessary for dialing in an espresso recipe. If your home barista already has their own grinder and a manual brew method, you need to make sure they have a scale for true coffee precision. The unsung hero of the home brewing world, a scale allows you to get the most out of all your brew methods. If you need some convincing, I wrote more about them here. Otherwise, just check out my favorite scales. For proper precision, you need a scale with accuracy down to .1 of a gram, like this one (or any of the others on this list). Quick response makes this a great scale for pouring over. It also has a built-in timer so you can finally stop using your phone and update your IG story while brewing! Take all the features of the Hostweigh, throw in a removable stainless steel top plate and make it chargeable by USB and you the have Hario Stainless Steel. This scale would complement the aesthetic of a modern kitchen perfectly. The coffee shop standard. Sleek and beautifully designed, if your local coffee shop offers pour overs, they likely use this scale. Your aspiring coffee master can download the Acaia app to their phone and connect this scale to track flow rates and save recipes. For those coffee lovers using a pour over like a V60 or Chemex, controlling flow rate is essential. Gooseneck kettles alone provide that kind of control. If you're looking to save some money without sacrificing control, take a look at the stovetop kettle options. As a bonus for you adventure lovers, stovetop kettles don't require electricity making them a great camping companion. Keep costs low and go for the standard stovetop kettle. Simple design with a 1.2 liter capacity, plenty for any individual brew method. Sometimes simplicity is king, and you can't really go wrong with this kettle style. For the coffee enthusiast that cares about the aesthetic of their brewing devices (like me), take a look at Fellow's gorgeous Stagg Kettle. The precise engineering cuts down on the "roll over" effect, allowing you to pour incredibly slow streams accurately. The beautifully designed Stagg compliments even the most beautiful kitchens. If your beloved coffee lover mainly brews at home, blow their minds with the ease of an electric kettle. With a simple flip of the switch on the base, the Willow and Everett kettle will bring water to a boil. It's easy to just flip the switch and prep the rest of your brew method while the kettle takes care of the water for you. Take all the convenience of the Willow & Everett and add precise temperature control for a magical combination. With the Bonavita, you can designate the exact temperature you want and the base will hold the water at that temperature for you. I'll be real with you, I want this kettle so bad. I absolutely love my Bonavita, but this thing is gorgeous! All the precision of the Bonavita in the beautiful engineering and design of the Fellow Stagg. As far as kettles go, this is the holy grail. So you've made it this far, and you still don't see something for your coffee snob? See if any of these items suit their fancy. Mugs make for the perfect stocking stuffer or smaller gift for any coffee lover. Let's be honest, some of us love our mugs as much as we love our coffee. You can find mugs all over, maybe try their favorite coffee shop or local attraction. 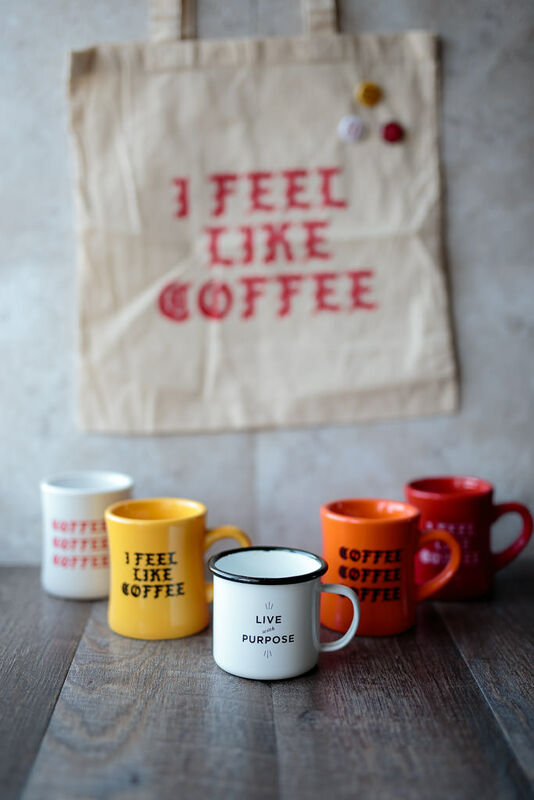 One of my favorite place to shop for mugs online is The Created Co.
For the coffee lover that wants to dive deep into perfecting their grind size, the Kruve allows them to do just that. Using a combination of two sieves, the Kruve eliminates all grounds except those within the specific micron range you want to include. No more fines, no more boulders, only the perfect grind size. For the coffee lover who also happens to be a bibliophile, why not satisfy both loves? 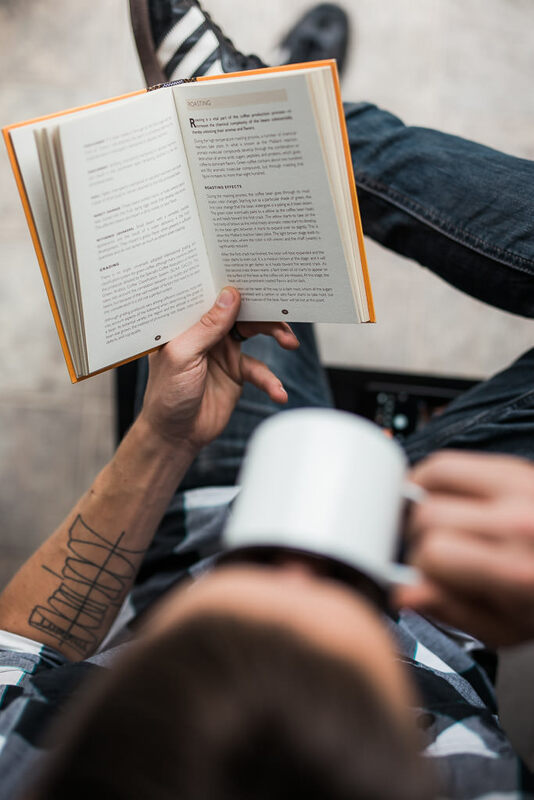 These books not only make beautiful coffee table pieces, they are all fantastic reads. There you have it! My personal list of recommendations for that perfect coffee gift. If you still didn't find what you were looking for, or you still have questions shoot me an email! I'd love nothing more than to help you find the perfect gift! 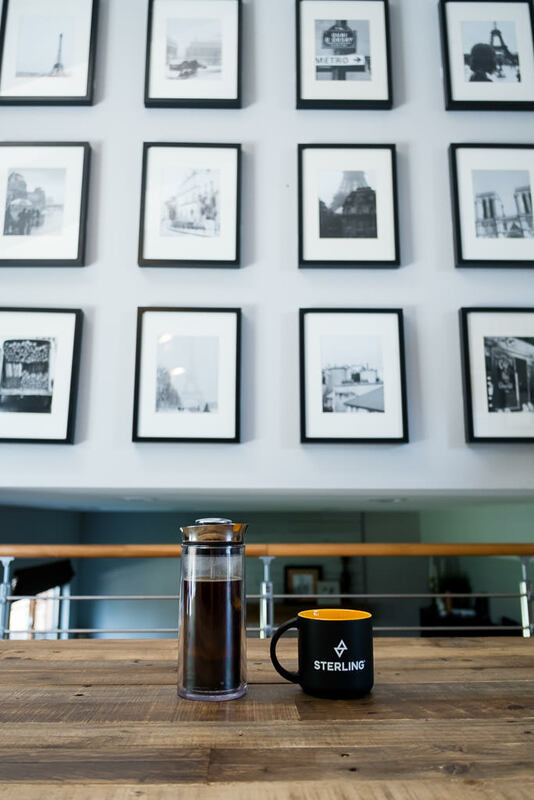 This side-project provides supplemental income that basically just feeds my coffee habits, and in turn helps me provide even more quality coffee content. Most of the recommendations link to their respective Amazon pages. Purchasing through these links don’t cost you anything extra, but they swing me a little commission from whatever you buy. Thanks for your support!